We won’t buy a $6 latte at a café without checking out reviews first. But where do community managers go when they’re getting ready to spend $10,000 or more per year for on-domain community software? Across the world, right now, thousands of community managers are about to decide which platform is best for their organization, but there’s no single source of honest community platform reviews, from real community managers, for them to research peer reviews. Why isn’t there a Yelp specifically for community software? Let’s flex our community manager muscles to solve this problem. How? I’m glad you asked! is a review site tailor-made for community software. One day, you may need to switch community platforms. Wouldn’t it be great to instantly have access to hundreds of reviews from other community managers on the software platforms you’re considering? I want to encourage everyone who’s using on-domain community software to pay it forward and leave a review about their software on ReviewMyCommunity.net. After leaving a review, you’ll receive a lifetime subscription to the site to read and write more reviews. 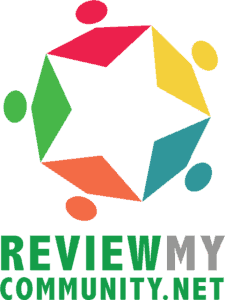 ReviewMyCommunity.net can become an indispensable resource for community managers everywhere. But only if WE make it happen. Let’s do this. Leave a review today.